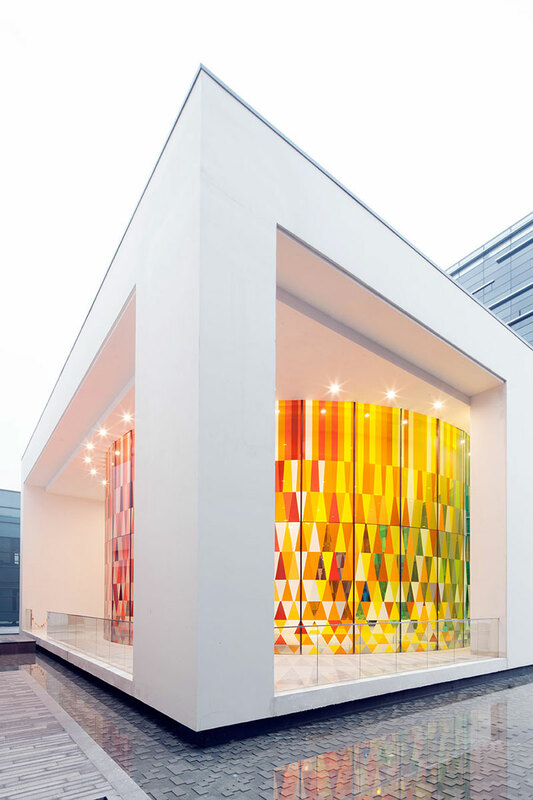 Rainbow Chapel by Coordination Asia and Logon Urban Architecture Design is a wedding chapel placed inside the Shanghai Museum of Glass Park. 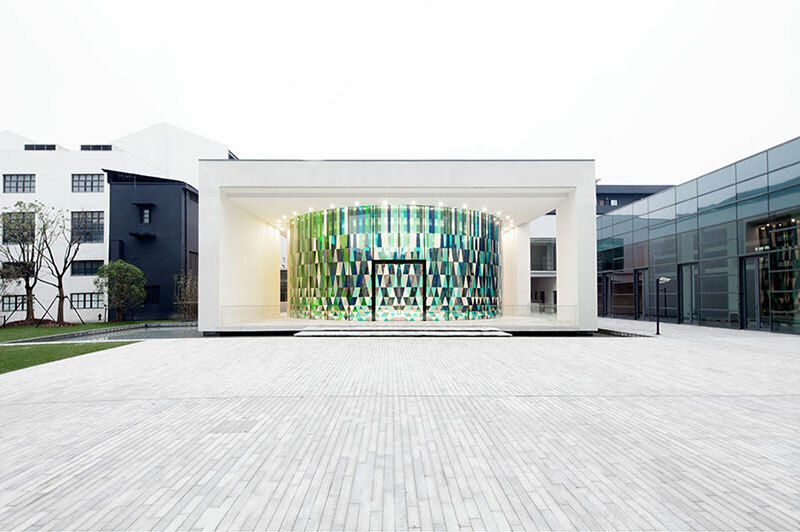 The inclusion is the first of its kind and stands as an alternative to classic wedding venues on the Chinese market. 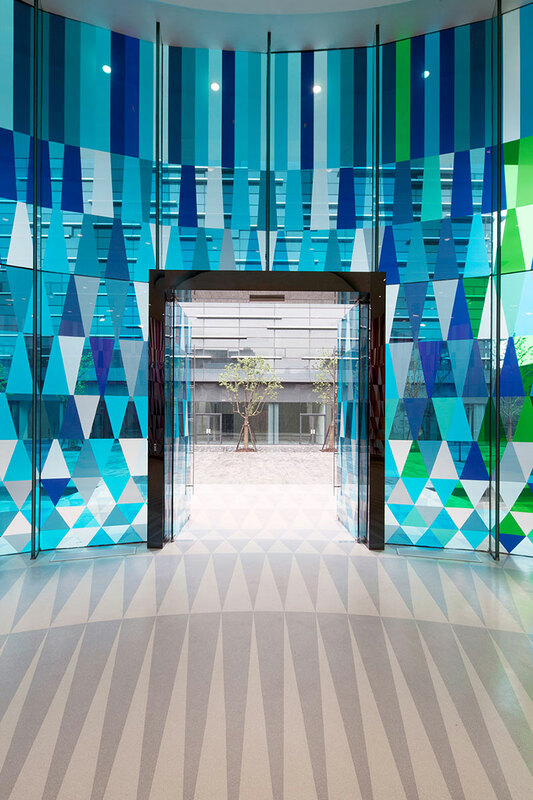 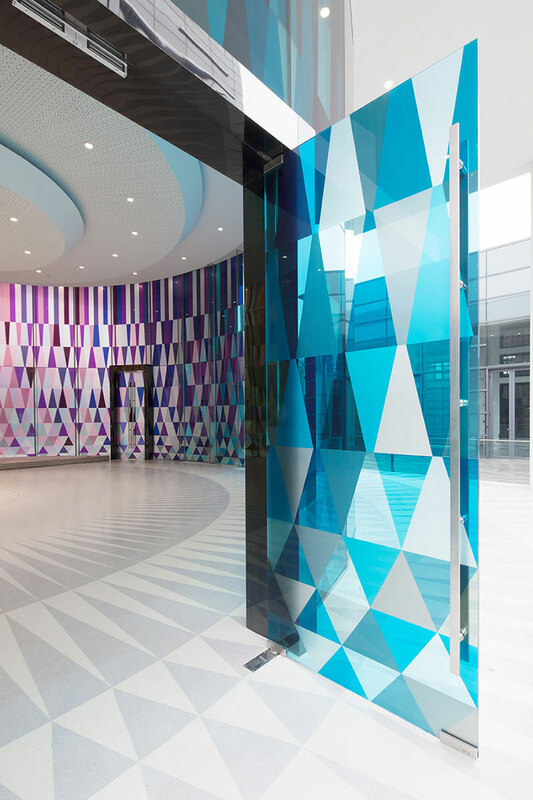 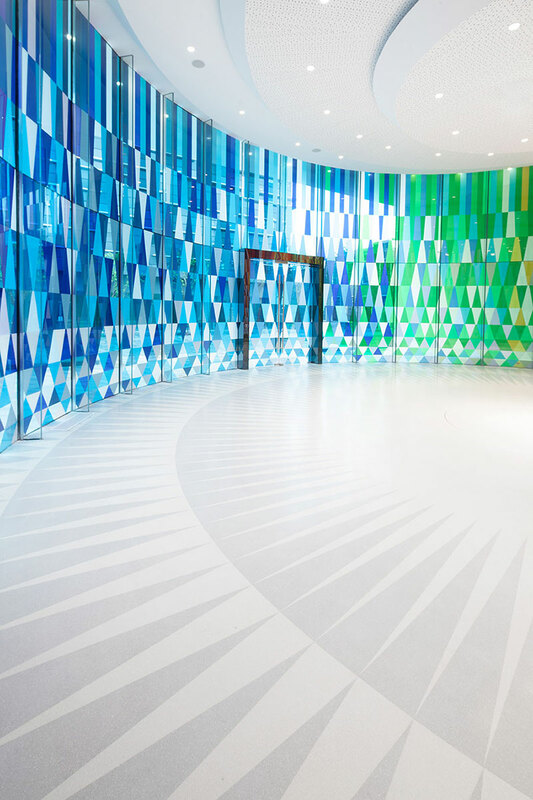 The round space is enclosed by glass panels painted in vivid, translucent colors that creates a surreal light that perfectly suits these types of celebrations. 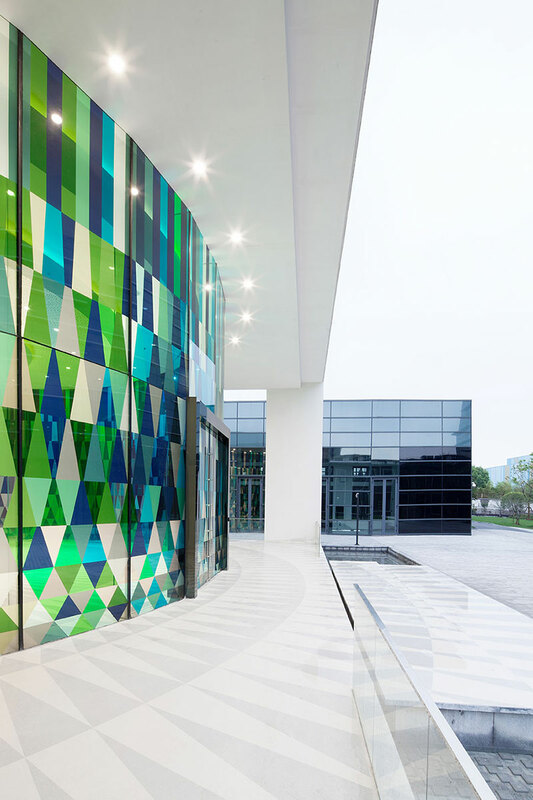 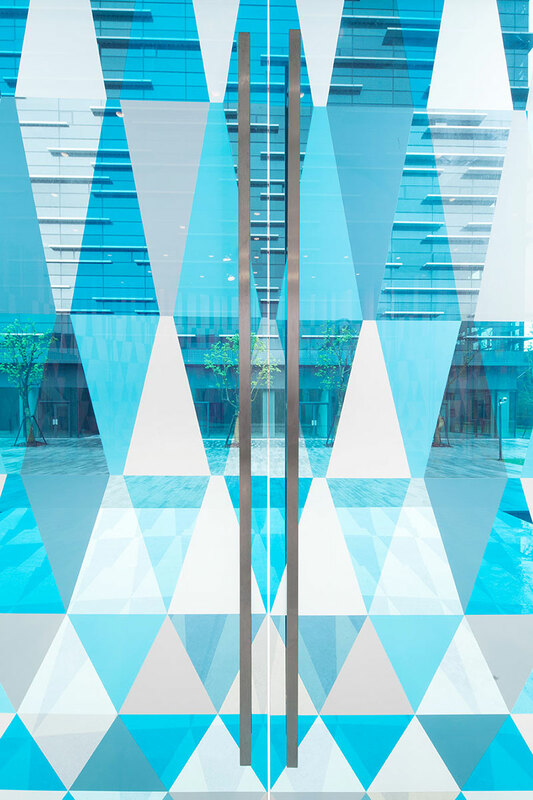 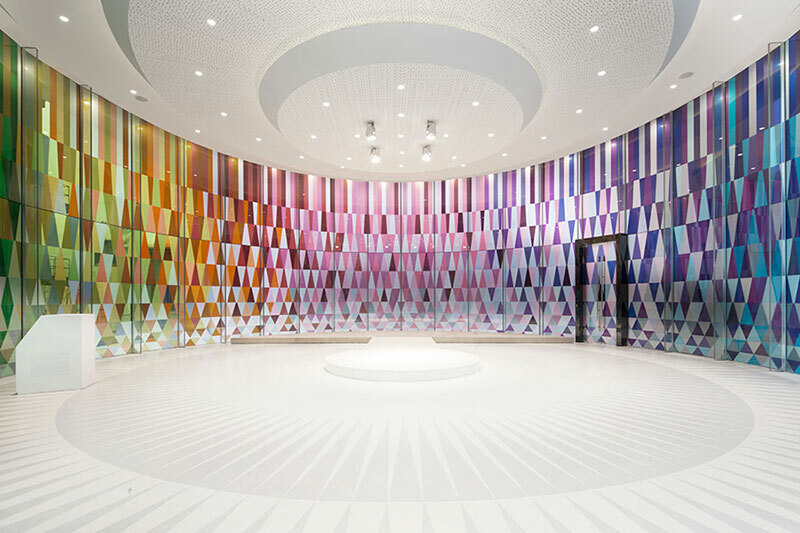 The facade pattern is made of 3,060 elements using 65 different colors and the semi-transparent kaleidoscope windows, measuring 6.8 meters in height, gives the Rainbow Chapel its charm. 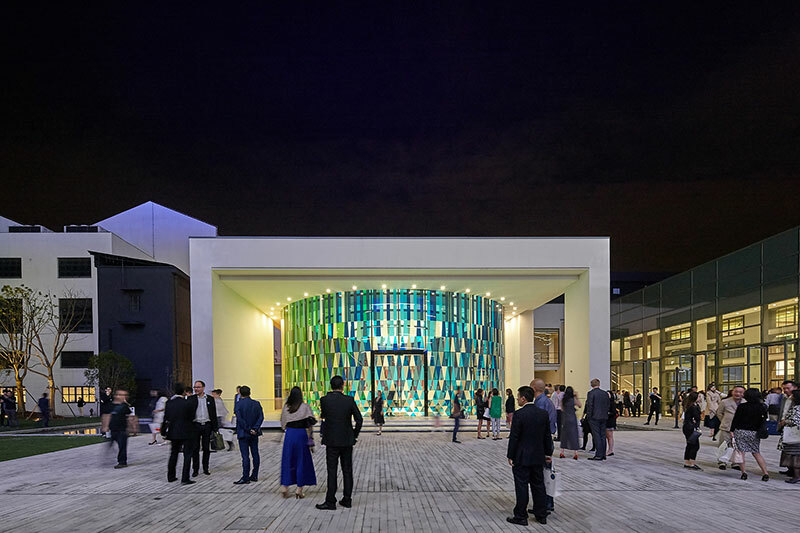 The two basic shapes of the chapel, square and circle, alludes to the infinite nature of the connections made inside the space and are also fundamental to Chinese symbolism—the circle representing fullness and unity, while the square stands as a symbol of honesty and virtue. 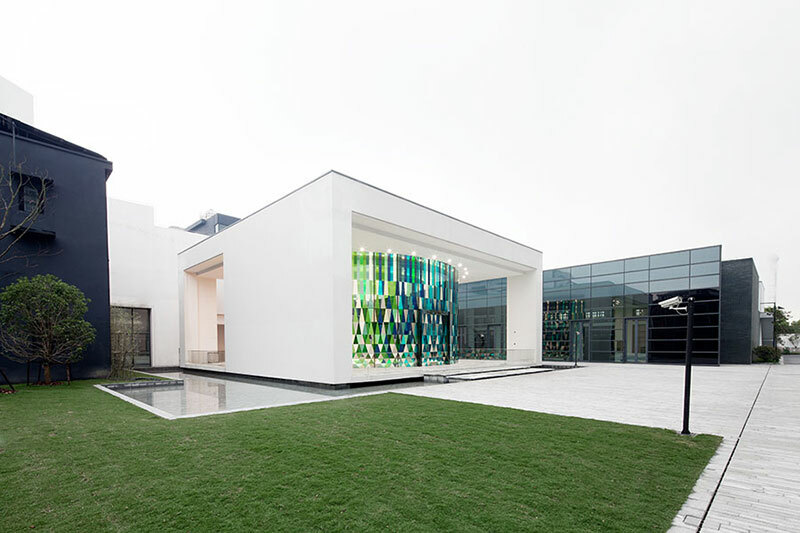 When combined, the two forms lend a sense of perfection while also bringing good-luck. 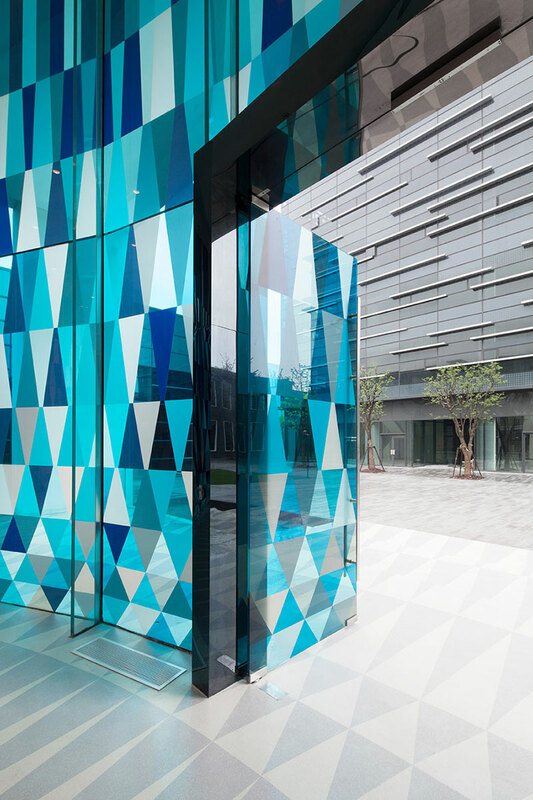 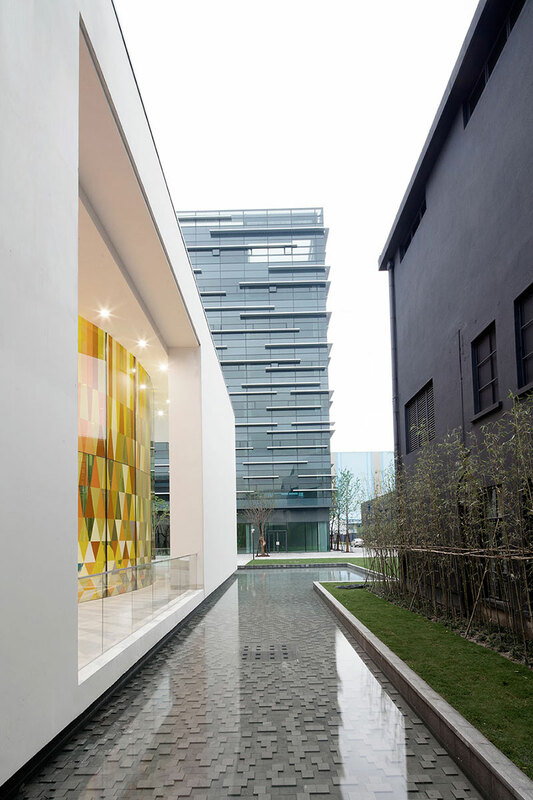 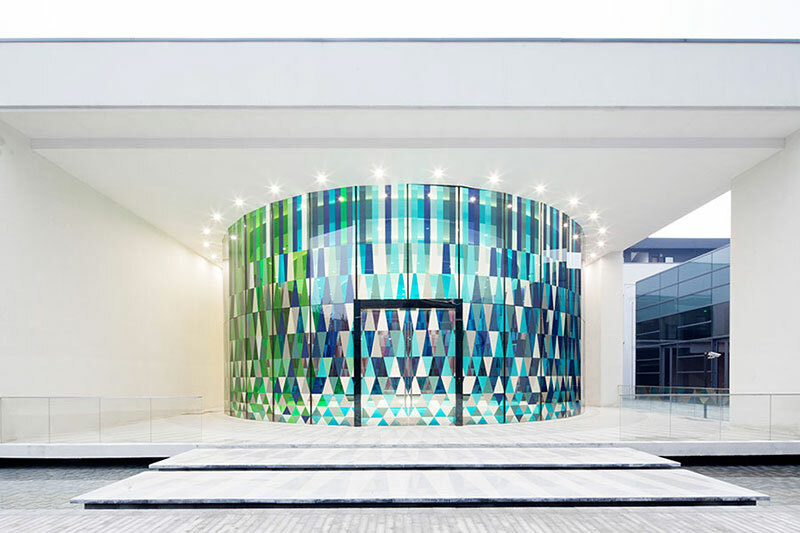 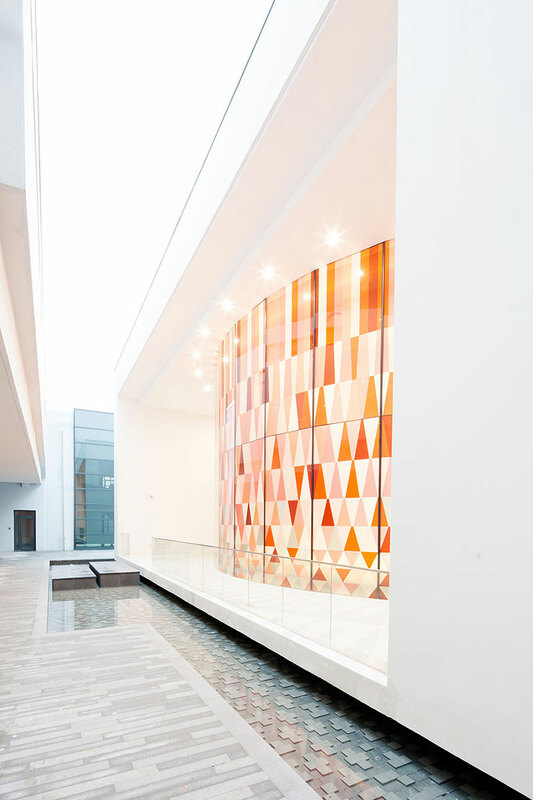 The Rainbow Chapel by Coordination Asia and Logon Urban Architecture Design is a wedding chapel placed inside the Shanghai Museum of Glass Park.